Frostcrypt?! Whatever. But, hey, have you heard this dope new Hansen track?!? Yeaaaaaaaaaaah. Let me tell you, there’s nothing like raiding to a soundtrack. In between rocking out to such hits as Mmmbop and Achy Breaky Heart courtesy of resident guild pseudo-JackFM deejay Airez, we did some stuff this weekend. We did so well, in fact that we earned an all-you-can-grind vacation to Depths of Darkhollow’s most luuuuuuxurious hardened secretion hotel and resort. Just in time, too, for Daybreak to realize that dodging Russian Sanctions and deleting old press releases may keep them in business, but it ain’t keeping no lights on. For that, you need Digital Funbux, and to drive sales you need bonus XP/Faction/Nameds weekends! As if we here at <Overachieving Grumpy Cucks> weren’t winning hard enough already, Dear Leader saw fit to declare a People’s State Holiday commemorating our victory over not forgetting to pick up progression tasks before clearing Tier 1 raid targets. The Great Doing-It-The-Right-Way Revolution will be brought to the E-guilds soon enough, comrades! Let our victory over the Doing-It-The-Wrong-Ways spread the fires of the glorious People’s Revolution to all guilds. Soon, brothers and sisters, they will Do-It-The-Right-Way. The TSS is coming! The TSS is coming! We here at the Gangster-Like Social Club for Law-Abiding Human Originals (it shortens to OGC in Russian somehow, sort of like how the USSR was Russia before Russia was colluding Russia; it’s very complicated) anyways… Here at the OGC we completed the second Plane of Deus Ex Machina expansion in second place on the server, having narrowly lost out on opening day flagging bottleneck, Nightshade. 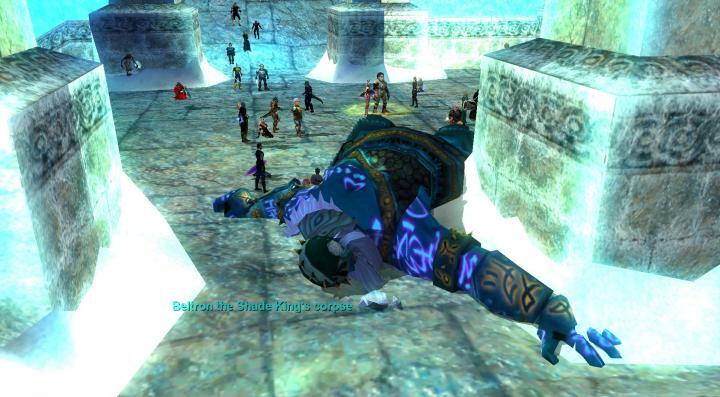 Most Echoes of Elysium guilds would give up, go home, drink a beer, sulk, and try to stick the landing on the Nightshade repop in 72 +/- 12 hours, or, you know, we can form up at our usual scheduled raid time.. whenever we see him up… it’s not a big deal. really! We here at the <Ongoing Guilty of Cheating> guild (as our super good, and friendly, and totally not at all carrying a 6 year grudge buddies like to refer to us) weren’t going to stand for any of that nonsense. 10 hours before Nightshade’s repop window was supposed to open (by even the most generous estimations) we packed into Relic like a discount hostel at Burning Man. All throughout the 30 hour-long ~PorthioWatch 2018~ we kept the population of friendly coalition characters in Relic above the mandatory /pickzone cap. This meant that we could effectively lock down the open world zone, as anyone who tried to zone in would be forced into a /pick instance, where Porthio and Nightshade couldn’t spawn. Seriously though. People. It works better when we all work together on flagging bottlenecks. Reach out if you want to just cooperate next time and save everyone the hassle. The siren song of Level 75 content is on the wind, and our farewell tour of the Level 70 era has been all sweet, no bitter. We’ve recently welcomed back many old friends from Citizen, Modest Man, and OGC who stepped away over the last few years, and we’re in a Strong Hands® position to move into TSS competitively. If you’re stopping by to see what’s up and say hi, consider logging and and investing in the currency guild of the future! Wednesday, Friday, and Sunday night cooperative growth conferences are held weekly. 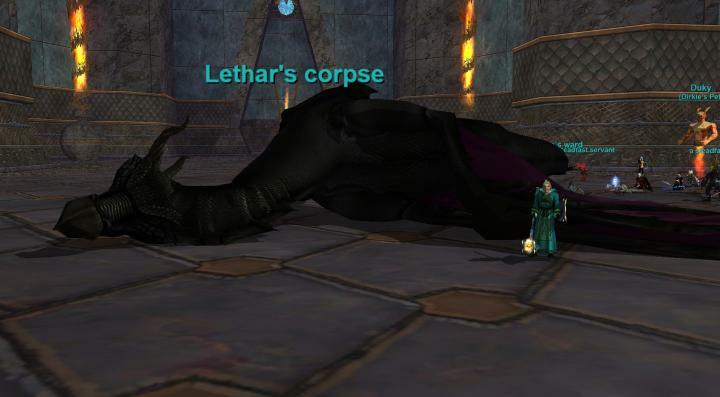 There’s open/FFA (t)raiding each weekend through Omens of War and Dragons of Norrath content for those interested in mining blocks of loot-rewarding bosses. You too, can be gearing out your 9th shitbag alt with Defense (67) and an OMM Breastplate. Under orders decoded from a white paper circulated around 2012 by the wise and mysterious Satoshi to HODL until May 23, the OGC will be performing regular Pump-and-Dump splits in Demi-Plane and Deathknell. We can only go up! uP! UP! from here, so if you want to see your EQ experience go TO THE MOON!, apply to <Oригинал Γангстер Cоюз> today!